Palm Bay Pools LLC was started by James Elmore. After many years of being a sub-contractor with other swimming pool contractors in the panhandle of Florida, James decided to start his own pool business. He has 30 plus years experience in every type of concrete pool construction available today. James is very hands-on with the running of Palm Bay Pools and takes pride in each and every job. He will do everything to ensure every customer is total satisfied with their pool. 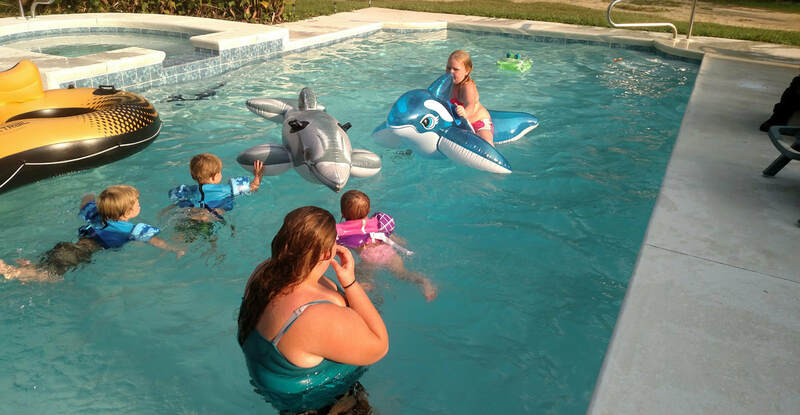 Palm Bay Pools is proud to be a family owned and operated business that takes great care in providing superior customer service, quality products and a lifetime to enjoy them. ​Palm Bay Pools LLC guarantees that we will treat you with the honesty and integrity with which we ourselves would want to be treated and we promise to use the highest quality materials and labor when it comes to building your pool. After all, our entire goal is to make you, our customer, completely happy with your pool. We also work to deliver a quality pool in a timely manner and within the budget given to us!